Building on the Wymondham High ‘O’ Team’s first year of activity, we are about to launch our first commercial venture. Using the schools Microsoft IT Academy status the team are putting the finishing touches to creating our own IT training business. 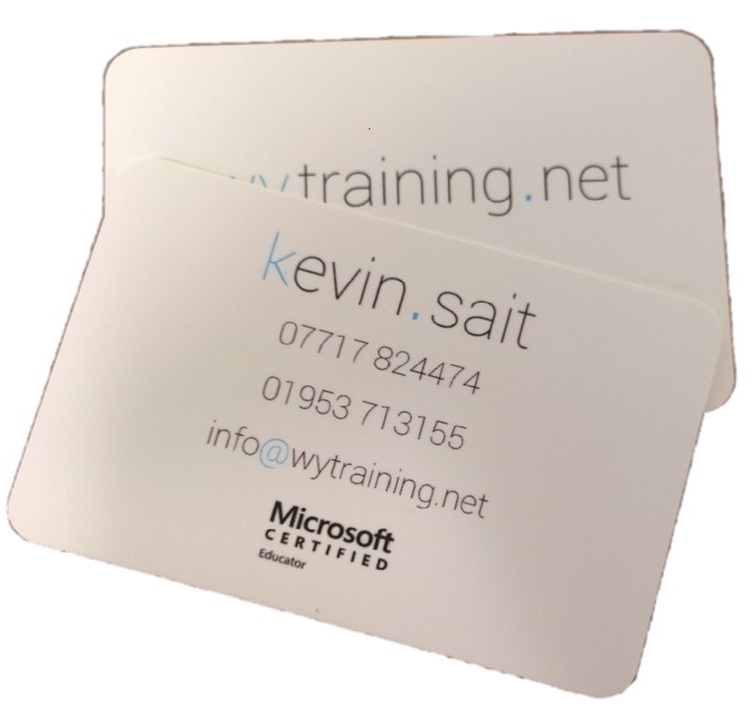 Wytraining (the Wy comes from the Wymondham part) has been created by working with students to create a viable business plan, students have been involved in all aspects including the design of marketing materials for the new business. We have been working hard to create a pleasant training venue within the school, with the aims of delivering top quality IT training for students, staff, local community, schools and business throughout East Anglia. ‘O’ Team members have been practising presenting skills on some of our in house training courses such as OneNote, OneNote ClassNotebook, Office Mix, and even building Minecraft servers!. 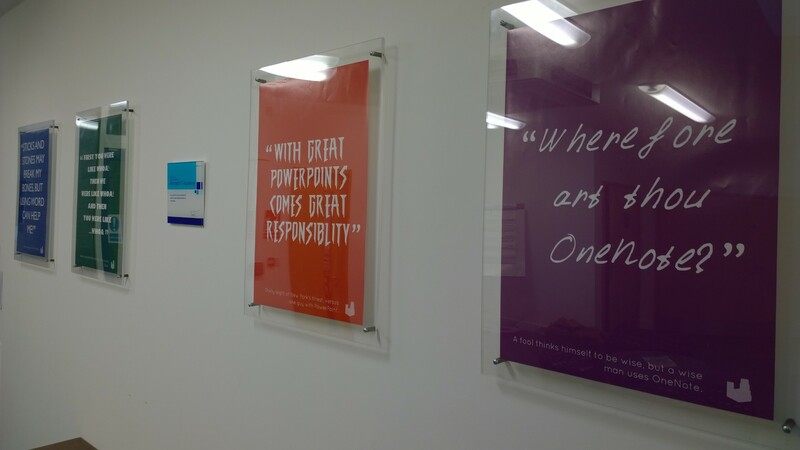 This has proved invaluable to teach the training team different skills such as presentation techniques, and communication skills. ‘O’ Team ventures training will launch in January 2015, and will offer training during the day, after school and occasional Saturday’s. However we also cater for remote learners by delivering online training through our training portal. By putting the opportunities in front of our students, it really shows the potential that students have, including skills that may not come to the forefront naturally in traditional lesson, but are equally important to foster. I am a believer in that everyone has a natural ability – we only have to give them a chance to access it. What has also been interesting in this project, has been the reaction of students who have now taken the teacher role. I suppose we can call it the ultimate in Flipped Learning!. I have had comments that “its rewarding and enjoyable – but very tiring also!” Students understanding what is like to sample the teacher life, and see it from another angle, can only be beneficial to learning and classroom behaviour. Perhaps next we should be getting teachers to be taught by students – who knows! 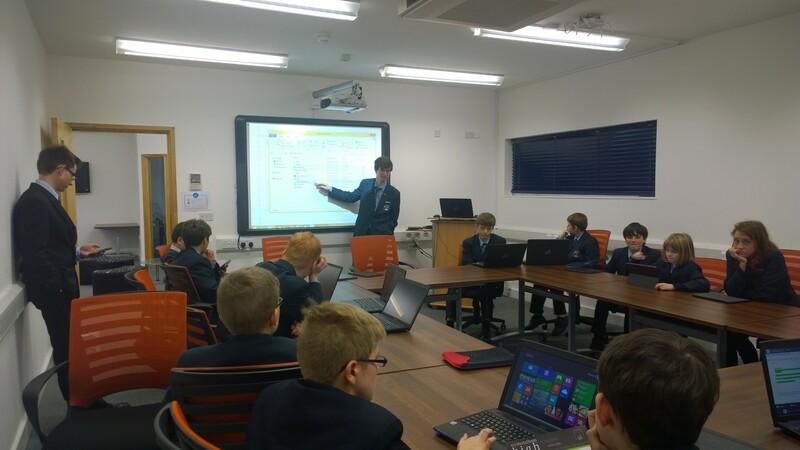 As you can see in the next photo – Nicholas McGee ( who is indeed a Raspberry PI and MineCraft specialist) was quite at home running a training session for 20 students in the training venue. Nick has certainly learnt skills in presenting to peers, communicating and assessing work from other students. The session being run was developing your own MineCraft server. These students have already passed the fundamentals of networking computers, and understanding TCP/IP, so the next step was to connect them with something they relate to and that was MineCraft. The next session Nick will deliver will be talking about external IP addresses and port forwarding, students will then have the opportunity to setup there own infrastructure in the venue. It is these life skills that will shape people like Nick in the outside world, as the recent IDC survey mentioned yet again how important presentation and communication skills are valued by employers. None of this idea would have happened if it wasn’t for the school being a Microsoft IT Academy. IT Academy gives school unprecedented access to a range of online and training resources on a wide range of subjects. This can be used with programs like the Microsoft Office Specialist and Microsoft Technology Associate for both staff CPD and student development. It almost like a training opportunity in a box – ready to go. It has also allowed our student trainers to become certified in the topics they teach, giving them more confidence in what they teach. Remember being an IT Academy is a benefit to you, your students but can also start to generate important revenues which you can put back into the technology in your school. 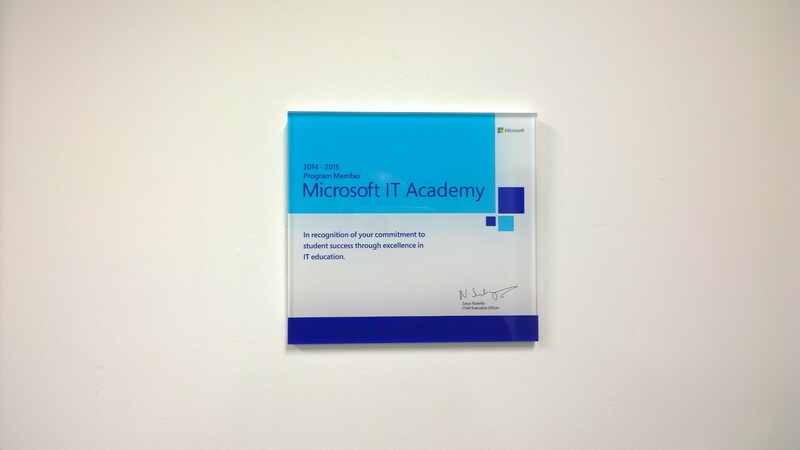 IT Academy can simply be added to your existing Microsoft Licensing for your school. Add to this the ability to host exams, it means as a school you simply get the best of both worlds. An un-rivalled source of CPD for teachers, learning for students and an income generator to. The IT Academy is packed with online manuals to cover the main topics, such as Microsoft Office, but also comes with lessons plans, hand-outs, marketing information – its all there. So as we get ready to launch our first commercial venture, we have all the right ingredients, IT Academy, and enthusiastic business partners who are willing to take a risk! Its that ability to take a risk which may well see the entrepreneurial skills show ! – if we could teach that in school then the sky would really be the limit. Fascinating insight into the future potential of Learning & Development, both the people and the practice! Thanks – it has certainly been a project that has caught the imagination of all involved. It certainly has enabled our student team who are involved with the project to develop skills which we simply could not teach in the classroom. We will keep you updated with our progress!